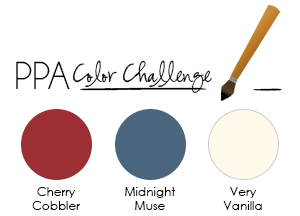 We have a color challenge this week for you at Pals Paper Arts. 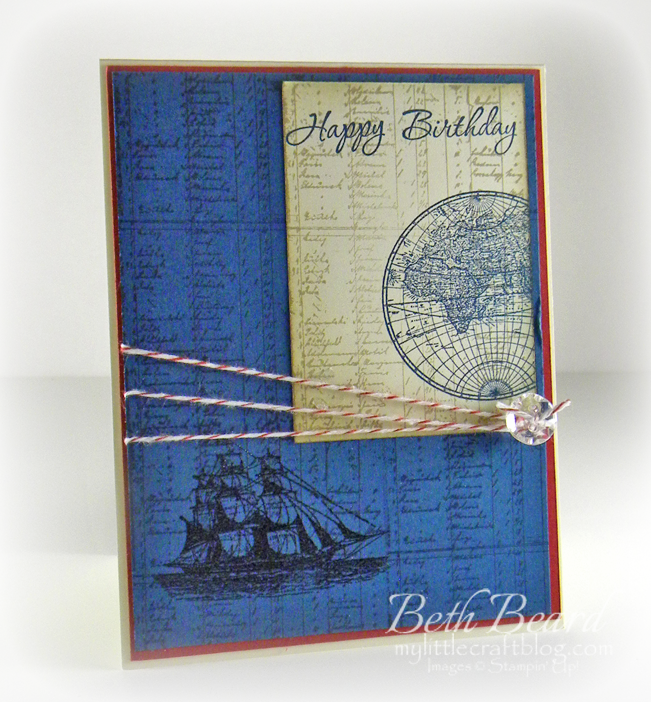 The challenge is to create a card using Cherry Cobbler, Midnight Muse and Very Vanilla (or similar colors). Play along and check out all the fabulous creations from the rest of the PPA Resident Artists for tons of inspiration! 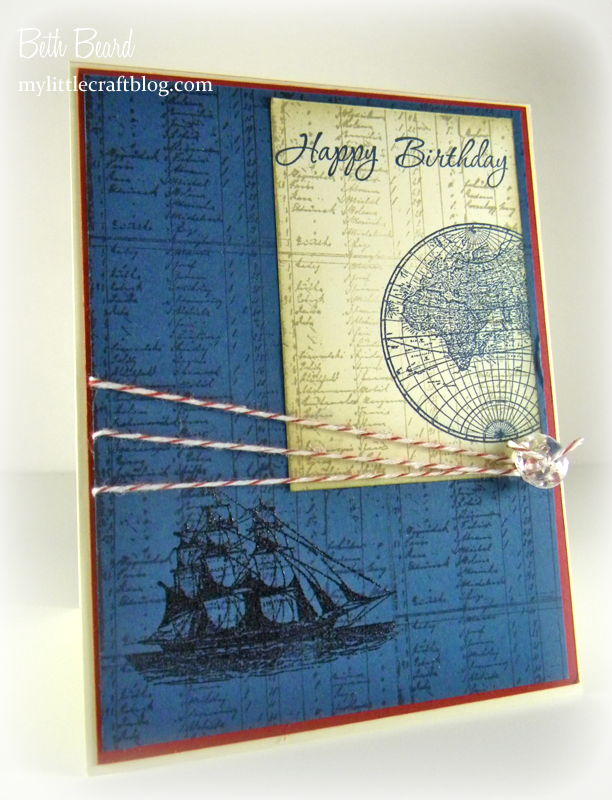 I chose to make a masculine card for a dear friend of ours, who loves sailing. the Open Sea stamp set was perfect. As soon as I saw the images in this stamp set I knew I had to have it. It's so versatile for either masculine cards, travel, vintage, or anything else you can dream of. 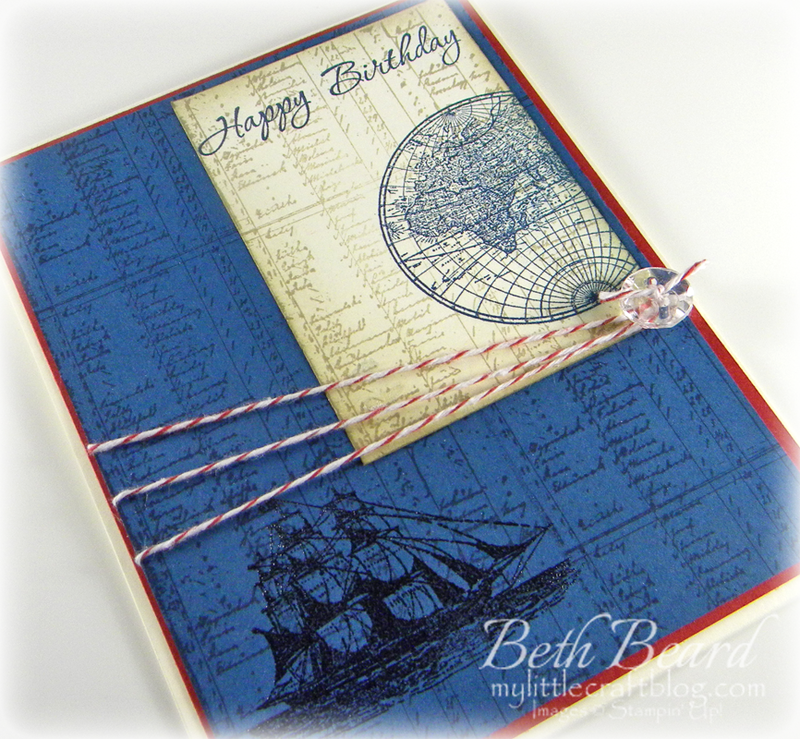 Beautiful card, Beth! An excellent debut project! 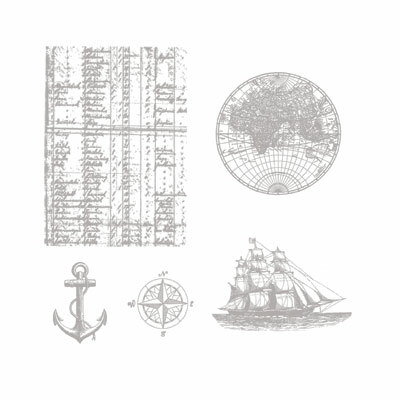 classic, old world design meets simplicity. beautiful job on the baker's twine! Beautiful in every way! This set was made for these colors! What a gorgeous masculine card, Beth. 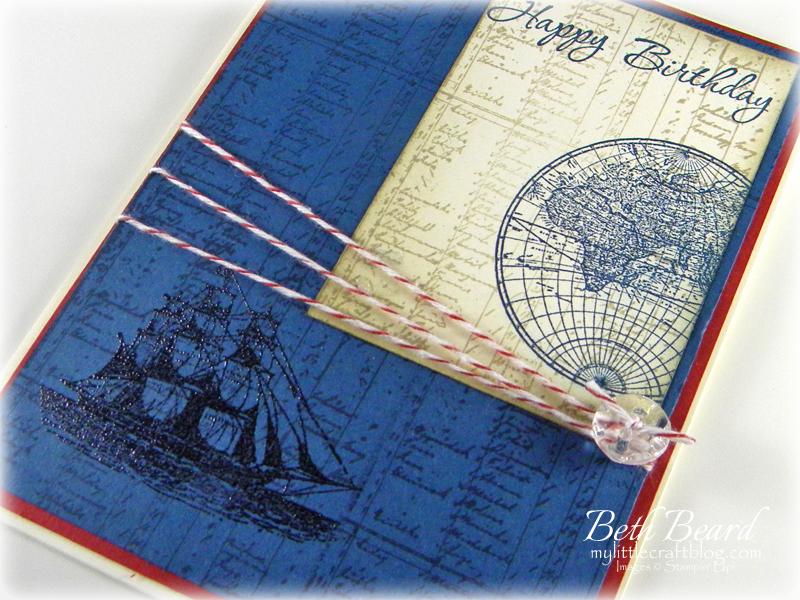 Your simple design works so well with this stamp set and color combo. As usual, you hit it out of the park with this great masculine card, Beth! I love how you layered up these two images and tied the Baker's Twine around it. Thank you Dawn for the sweet comments and your support. 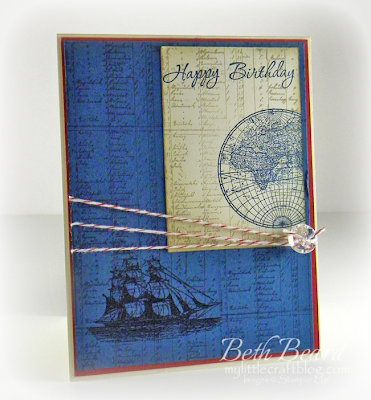 Terrific masculine card, Beth....so wonderful to see you on this team!! Fabulous, Beth! I really need to start using this blue again....love your card and the color challenge...! So lovely to see you back again Beth, I have missed your lovely creations so much. Congratulations on your team appointment. Love what you have done with The Open Sea - beautiful card. thank you Mary. I really appreciate it! Beautiful, Beth! I love the distressing! The button and twine are the perfect touches! Beth...fabulous card...love the way the sentiment and image sit off to the right side...thank you for stopping by my blog...thanks for sharing.